Inbound links,Outbound Links and Internal Links are part of link building strategies. I have already explained you the Page Title Optimization and Image Optimization in my previous articles for On page optimization. Today will understand some link building strategies for our blog. Inbound links are nothing but the “Back links”. If you've read anything related to Search Engine Optimization, for your Photo-blog you must have known to this term, but what are back links ? If you are new in this world of SEO, then read this article to understand more about Inbound Links for better link building strategies for your Site. 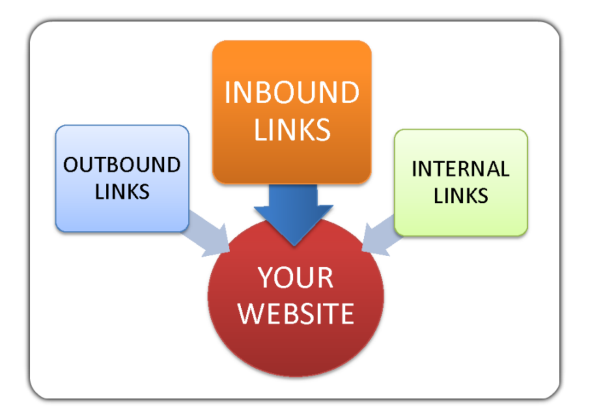 Inbound links are the links pointing to your site from other website. More Back links indicates the popularity of your blog but Inbound Links or Back links are must be relevant to your blog. Google penalizes you if your Photo-blog have the poor quality and irrelevant backlinks. I know you don't have control on them but if your Photo-blog have quality content and good photos then there might be better chance that people will link to your site. Inbound Links or Back links will get you free and targeted traffic to your photo-blog, and dofollow back links will increase your photo-blog page rank. What is Outbound Links ? Outbound links are the links that are pointing to other website from your Photo-Blog. When you link to related website, it will help the search engine to understand your niche, and it will help to improve overall SEO of your Photo-Blog. Outbound Links are good for your On page SEO but that doesn't mean that you should add any link to your content. You should link to relevant and informative content of your page. Relevant Outbound Links will give more information to your readers to understand your content better. Outbound Links will increase your chances to stick your readers to your blog and will come back in search for more useful information. By Linking to the high authority and relevant website there are chances of getting ranked high in search engines. The other Benefit of Outbound Links is by adding Outbound Link of relevant website you can ask for link exchange.This link exchange will be helpful for bringing targeted traffic to both the blogs. Internal links are the links that are pointing to your own domain pages. In On page SEO it is very important to build Internal Linking effectively. It is a technique to links one post to another in such manner it will look relevant content to the readers. Internal links will help to readers and search engines to navigate your site and Optimization of internal links will help you to boost your on page SEO. The other benefit of Internal Links is by linking your old articles in new article will improve your traffic of your old article as well. By using this technique you can target your old articles to your new readers who have not read your old articles and this will increase the page views count. I hope this article will help you to understand the basics of link building strategies in SEO, and henceforth you should start working on your on page SEO links optimization. Great explanation, it is easy to understand specially for SEO beginners like me.I clearly understand all the things written here! I don' t know exactly how Internal links work, but after reading this article,it helps me more understand the importance of Internal Links.I want to start this practice right away! Thank you.